UC SANTA BARBARA (US) — Diets with high levels of fat shut down a key enzyme and cause a series of molecular events responsible for the onset and severity of Type 2 diabetes. In studies that included mice and humans, researchers discovered a pathway to disease that is activated in pancreatic beta cells, and then leads to metabolic defects in other organs and tissues, including the liver, muscle, and adipose (fat), that when linked together, add up to diabetes. “We were initially surprised to learn how much the pancreatic beta cell contributes to the onset and severity of diabetes,” says Jamey Marth, professor of nanomedicine, molecular biology and biochemsitry at the University of California, Santa Barbara. In the newly discovered pathway, reported online in the journal Nature Medicine, high levels of fat were found to interfere with two key transcription factorsn—proteins that switch genes on and off. These transcription factors, FOXA2 and HNF1A, are normally required for the production of an enzyme called GnT-4a glycosyltransferase that modifies proteins with a particular glycan (polysaccharide or sugar) structure. Proper retention of glucose transporters in the cell membrane depends on this modification, but when FOXA2 and HNF1A aren’t working properly, GnT-4a’s function is greatly diminished. When otherwise normal mice were fed a high-fat diet, the animals’ beta cells could not sense and respond to blood glucose. Preservation of GnT-4a function was able to block the onset of diabetes, even in obese animals. Diminished glucose sensing by beta cells was shown to be an important determinant of disease onset and severity. “Now that we know more fully how states of over-nutrition can lead to Type 2 diabetes, we can see more clearly how to intervene,” Marth says. He and colleagues are now considering various methods to augment beta cell GnT-4a enzyme activity in humans, as a means to prevent and possibly cure Type 2 diabetes. “The identification of the molecular players in this pathway to diabetes suggests new therapeutic targets and approaches towards developing an effective preventative or perhaps curative treatment,” Marth says. In the United States, more than 24 million children and adults –– nearly eight percent of the population –– have diabetes. In adults, Type 2 diabetes accounts for about 90 to 95 percent of all diagnosed cases of diabetes. 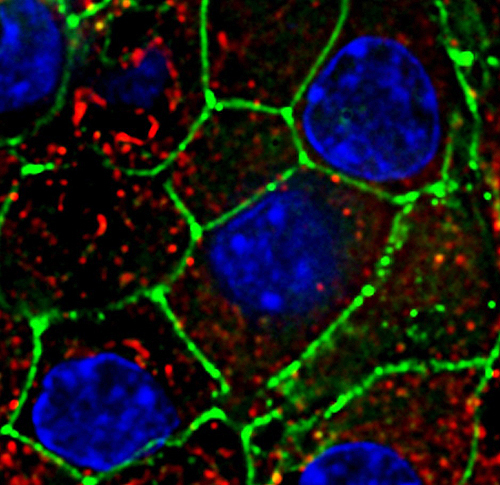 Researchers from Sanford-Burnham Medical Research Institute collaborated on the study that was funded in part by the National Institute of Diabetes and Digestive and Kidney Diseases (NIDDK), part of the National Institutes of Health (NIH).